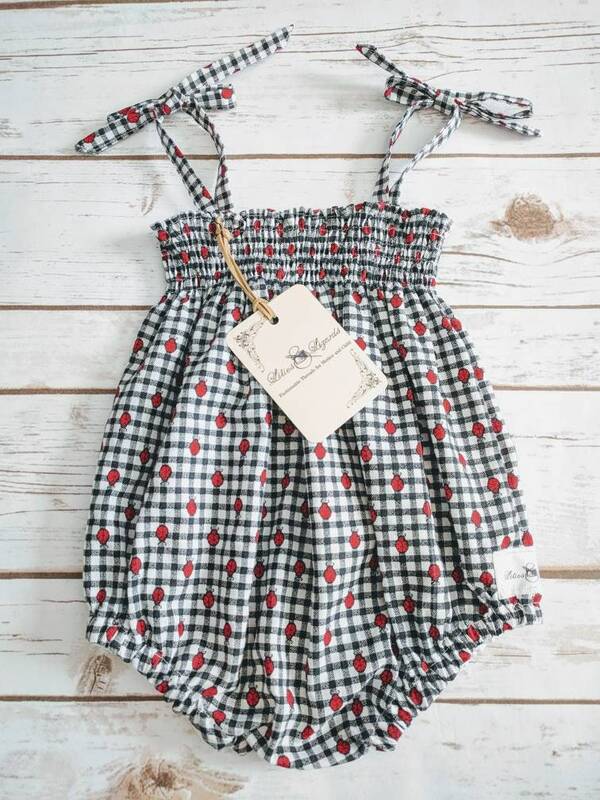 Classic style summer romper in a sweet black and white gingham cotton print adorned with ladybugs! Stretchy, shirred top and shoulder tie straps. Elastic at legs openings, snap closure for easy diaper changes.